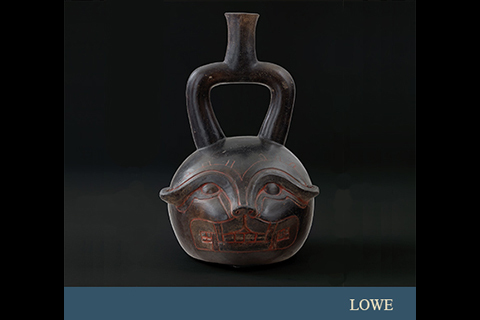 Kay Pacha: Reciprocity with the Natural World is the first curated exhibition of ancient Andean art from the Lowe’s permanent collection of more than 1,000 ancient stone, metal, wood, ceramic, and textile objects from Peru, Bolivia, and Ecuador. The exhibition explores the ancient Andean concept of ayni, or reciprocity between humans and nature that fuels life on kay pacha, the surface of the earth. No other exhibition has attempted to explore how humans used art to express their gratitude, fear, and indebtedness to the harsh natural world of the Andes. Ceramic jars in the shape of a crab, royal robes made of parrot feathers or fine alpaca wool, and silver disks decorated with shellfish from the Lowe’s collections speak to how material objects conveyed the interrelatedness of life, authority, and power in these cultures. This exhibition is curated by Dr. Traci Ardren, Professor, Department of Anthropology, University of Miami. All events at the Lowe unless otherwise noted.